I bought this from my lovely friend The Asian Girl in a blog sale and I am stoked on it. 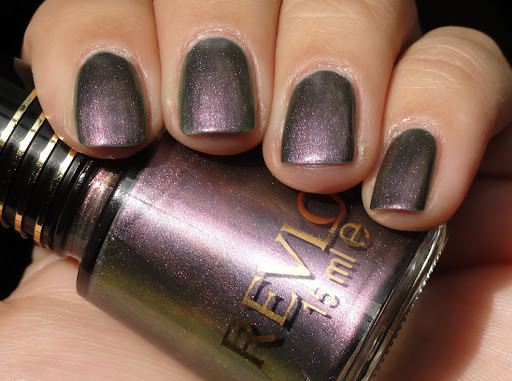 It is one of my favorite duochromes. 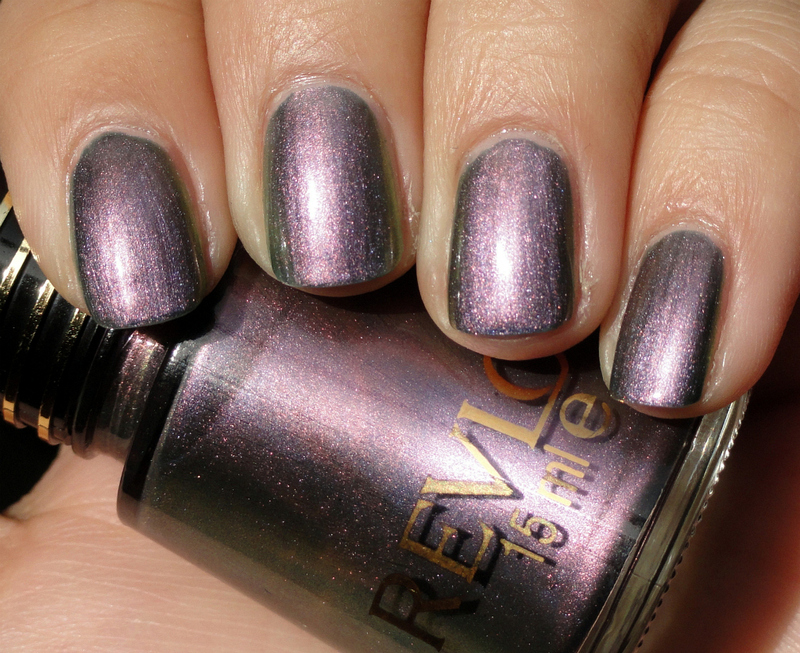 I wish there were more polishes like this. I have no idea when it came out or what but I would be surprised if it was still being made. 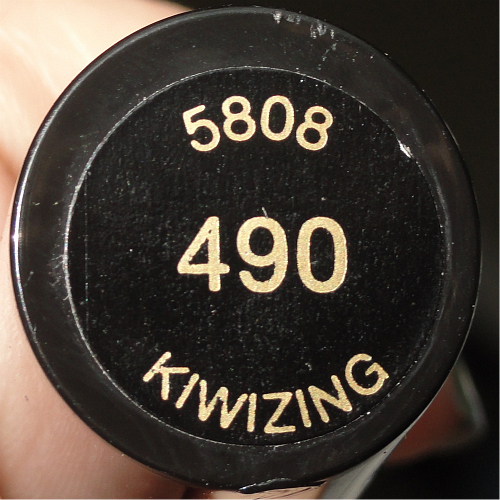 Kiwizing is a crazy name too, not sure what it means, but I know there was a lipstick by Revlon with the same name. 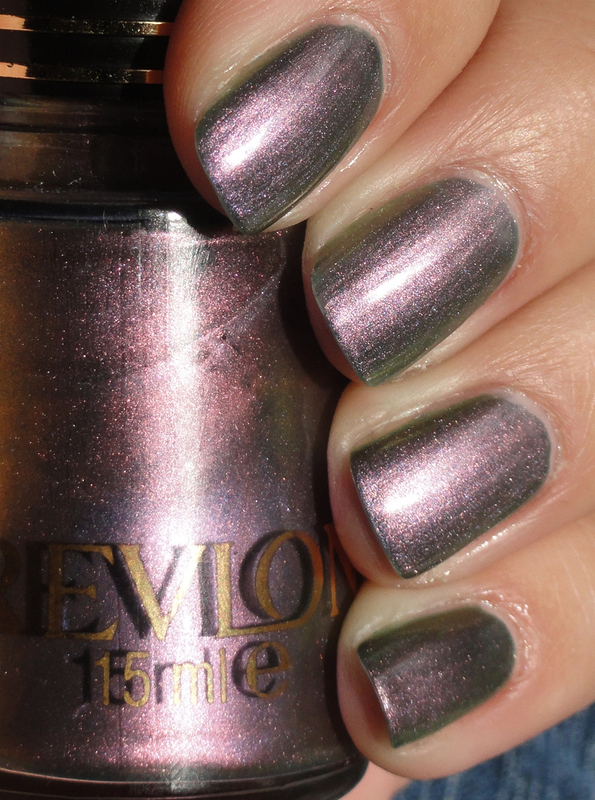 The color is really dope, it has a metallic lavender flash on a greenish base. The green reminds me of the color your skin turns when you wear cheap jewelry or the color of old copper. Two coats here. What are some of your favorite duochromes?